Another concept has been completed for my Game Design students. This design requires students to demonstrate both organic and inorganic modeling in a single assignment. 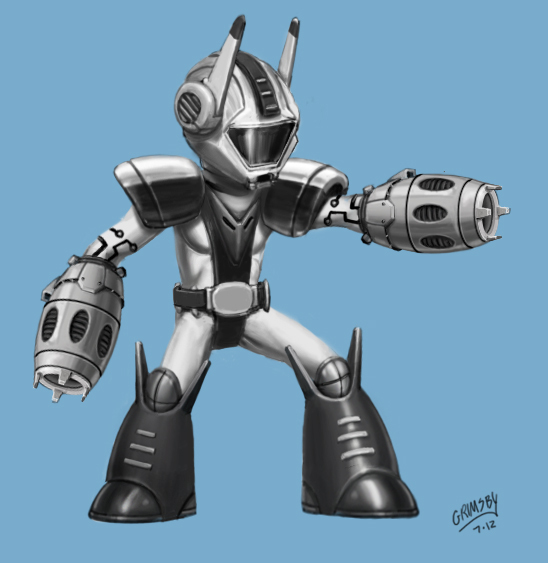 In order to reduce the difficulty of the assignment, the design of GalaxyBoy is symmetrical, and does not show his hands or face–typical problem areas for new modelers.